“The Collective is a shared working space in Silicon Beach that’s bringing together the best sta rtups, entrepreneurs, hackers, makers, students, and creatives in Los Angeles”. 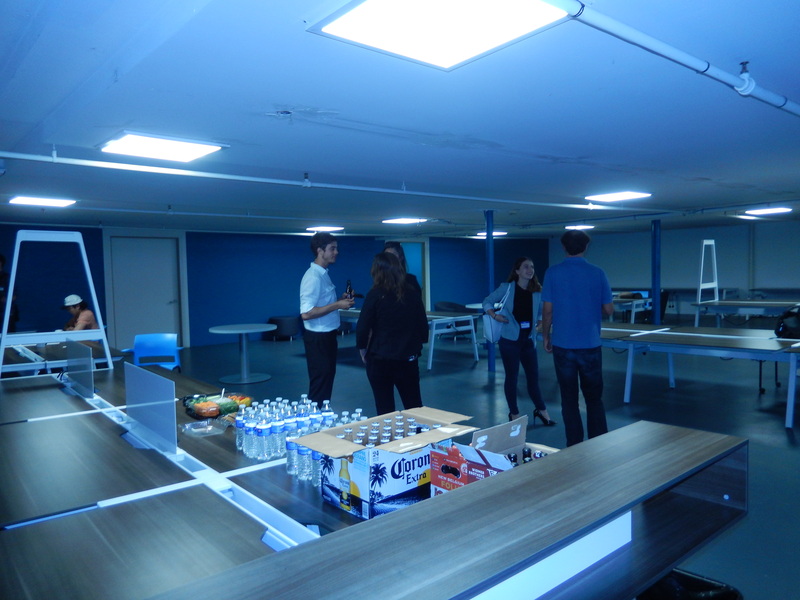 We were very excited to invite our members to this new location to showcase how much Silicon Beach has to offer. The venue boasts 24 private offices and about 300 co-working spaces. We are grateful to our sponsor Sri Pulakanam from NeurLabs @neurLABS that also presented their app MigoAmigos. was the most provocative presenter! Playa Vista is definitely booming with more offices and co-working spaces popping up all over! And it is becoming cheaper than Santa Monica. Please find more pics from this event on Meetup or FB and videos on our Youtube Channel. See you in August at #SMNT37!